Another example of BIG SIX BANK inflated penalty calculation.. $13,634.00! Wow! If you still think your local BANK is your best friend, think again. Last week, one of my client’s discovered it would cost them $13,634 to exit their mortgage early. Compared with only $2736 if they had chosen a BETTER mortgage Lender. Here’s the details.. The clients had a $395,000 mortgage balance remaining. Renewal date was October 2018. Original term was 5 yrs and their rate was 2.77%. The rate is competitive, but not any better than what I could have offered at that time. There had to pay the mortgage out. Penalty quote is $13,634. That’s equal to over 14 months interest!! Wow! Incredible. $13,634 compared to $2736. I’ve shared many examples similar to this in the past. It’s really simple. DON’T FOCUS ON THE RATE!. There is so much more to choosing a mortgage than just rate. The average Canadian changes their mortgage ever 3 years. And there are many reason this happens.. change of job, marital status, family issues, health issues, etc. And if you are expecting your Banker to show you other products to compare, well, that’s just not gonna happen. It’s like expecting Ford to send you to Toyota for a new car. Not gonna happen. Do yourself a favour and speak with an unbiased, neutral professional. Speak with an experienced Mortgage Broker that deals with dozens of Lenders. You’ll be glad you did. Previous Previous post: Finally, a tax break on Land transfer tax. Next Next post: Panic buying? When will the housing market slow down? 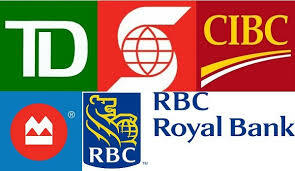 CanadaMortgageNews.ca Another example of BIG SIX BANK inflated penalty calculation.. $13,634.00! Wow!